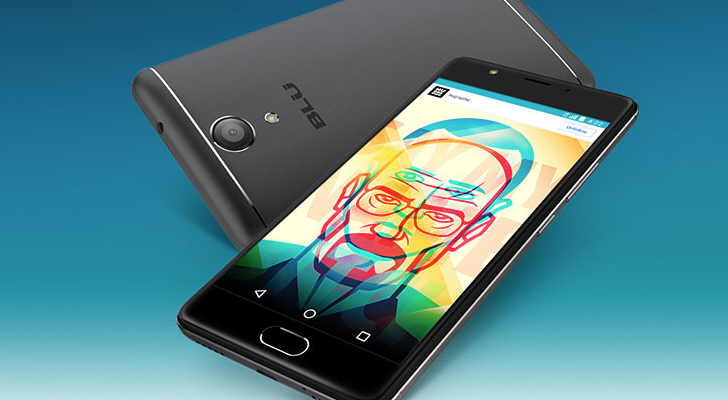 Around a week ago, BLU issued a broken software update for its Life One X2 phone. In at least some cases, users who applied the update were locked out of their phones. Late this afternoon, BLU's official Twitter account—which, much to the chagrin of affected users, was silent on the subject for almost a week—issued a statement that the problem had been fixed via a new update. We will provide you with the software update that resolves the issue and grants you access to your device. Note: This fix is only for users which haven’t yet done a Factory Reset or exceeded the amount of pin attempts. For the full historical details, you can check out our previous coverage on the subject here, but the short version is that an update caused at least some BLU Life One X2 devices to have an unknown pin/password applied, preventing users from booting and, therefore, using their phones. Allegedly a factory reset could fix the issue, but would result in loss of data. Hi James, I just wanted to update you on the Life One X2, we have fixed the issue, customers are already updating and happy to have their devices restored. Details are unfortunately sparse, and although we've reached out to both the BLU representative and the support line provided by BLU for additional information and instructions, they haven't yet responded to our inquiries. The files for the alleged 'fix' have popped up on Twitter, but since BLU has kept the associated details secret, we aren't sure how they're intended to be used. They could be applied via fastboot or flashed via recovery, but without the included instructions, we can't be sure. Since affected devices can't boot past the PIN/password screen at boot, the convenience of an OTA is likely out of the question. If you were among those who applied the previous faulty update and experienced the issues (and you haven't yet performed a factory reset or exceeded the allowed number of password attempts), you are encouraged to reach out to [email protected] for support. We'll update this post when we know the precise details involved in the fix. Either way, it's not great that it took almost week for BLU to finally make a statement about the subject. If I were a Life One X2 owner, I'd be livid. We've received the instructions for applying the necessary fix from BLU. For your convenience, we've included them just below. The update, as expected, needs to be applied manually via recovery and requires that you own a microSD card and have access to a computer to copy the requisite files. 2. Copy and paste Updatev28_v29.zip to your SD card with your computer. In order to do so, you can download the file to a specific location or your desktop, once this is done you can copy and paste the file on to your SD card, which should be found in the “Devices and drives” page of your computer, if using a PC. 5. Insert SD card with the zip file into your Life One X2 and place the back cover back on. 7. Release Power button when you see "boot into recovery mode"
11. When device reboots, enter original pin or password. If you for any reason cannot follow the steps above in order to solve the issue or require immediate access to your device, you can choose to follow the steps below. Please keep in mind, both of the options below will wipe out all the information initially stored on your device. Exceed the amount of pin attempts on the device, In case this does not work proceed with the second step. Please follow these steps to perform a hard reset for your Life One X2 (please note that this will erase all the data, pictures and videos save in the internal memory). Release both buttons at the BLU logo screen. At the "Boot into recovery" , wait until you get the Android recovery menu. Should you have any additional questions please contact us at 1-877-602-8762 (Monday-Friday 9:30am-10:30pm EST).